The Euro South African Rand (EUR/ZAR) exchange rate stood mostly inert on Monday, pressured by the Italian general election but supported by news that Germany’s Social Democrats (SPD) have voted in favour of a ‘grand coalition’ deal with Angela Merkel’s Conservatives (CDU). This vote has secured Merkel’s fourth term in power and effectively ended 6 months of political turmoil for Germany, an event that helped keep the Euro buoyed in the face of the market chaos in the face of the Italian election. Voters flocked to the polls in Italy on Sunday, with overwhelming support revealed in favour of the populist, Euro-sceptic parties. Markets are currently waiting for the final result which should be released later today, but celebrations have already begun for Italy’s 5-Star Movement (M5S) which took the lead. No party appears to have sufficient majority for outright leadership, however, which means these parties will have to look for a coalition in order to secure their governance. Markets are spooked. Whichever way you cut it; Italy (the EU’s third largest economy) could be heading towards euro-sceptic leadership, an event that could simply result in reform (M5S is not out-and-out anti-EU), or an outright referendum. 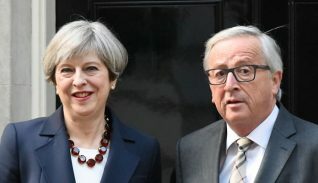 Brussels hasn’t yet responded to the polling, but the results of the election are a clear indication of distrust and anger towards the bloc on the back of persistent poverty, high unemployment and the stress on infrastructure caused by the influx of over 600,000 migrants in a 4-year timespan. The South African Rand (ZAR) continued to struggle on Monday, encumbered as investor demand for riskier assets waned in the face of a potential global trade war. US President Donald Trump’s latest proposal of slapping a 25% tariff on steel and a 10% tariff on aluminium caused quite a stir, with both the EU and China threatening retaliatory measures. 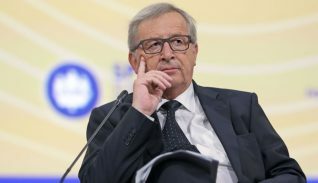 Indeed, European Commission President Jean-Claude Juncker soon responded with the threat that the bloc could target brands like Harley-Davidson and Levi Strauss with higher import tariffs, whilst China’s Vice Foreign Minister Zhang Yesui stated that Beijing wouldn’t let its interests be damaged. Nonetheless, President Trump was unperturbed, simply stating that the EU already has high tariffs on US goods, and that any retaliatory measures by the bloc would be met with higher tariffs on the EU export of cars. Markets tend to dislike any form of trade intervention, but the threat of escalating measures from China the US and the EU could threaten the global economy and leave poorer countries, like South Africa, in dire straits. Beyond this, investors have also become hesitant to invest too heavily into South Africa after news that the South African Parliament has agreed to amend the Constitution to allow for the expropriation of land without compensation. This has since been met with massive surprise and condemnation from banks, the agricultural industry and the global investor community as a whole, as any land and property purchased can simply be taken by the state. The new President, Cyril Ramaphosa has tried to reassure markets, however, asserting that ‘there will be no smash and grab’ of land, but he has also not backed down, simply stating that certain producers need to be protected and that; ‘this original sin that was committed when our country was colonized must be resolved in a way that will take South Africa forward’. This has largely failed to ease market worries. The Euro South African Rand (EUR/ZAR) exchange rate could encounter even more instability tomorrow as markets respond to the ongoing vote count in Italy, and tomorrow’s South African, and European growth rate readings. Markets currently expect South African GDP to have slipped in Q4 2017 from 2.0% to 1.5%, an event that would bode extremely poorly for South Africa’s economic prospects and likely leave the EUR/ZAR exchange rate in the single currency’s favour. Beyond this, investors will be keen to assess a run of Markit purchasing managers’ index (PMI) readings for bloc on Tuesday, and Wednesday’s highly significant Eurozone GDP readings, with forecasts suggesting that growth will remain steady at 0.7%. All eyes will be on the Italian election in the meantime, however.